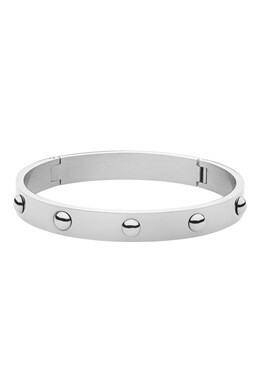 The DOTT bracelet is one of our coolest classics! 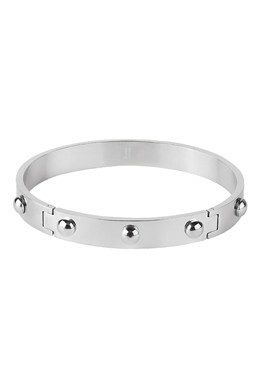 The steel bracelet is adorned with studs with hinge clasp. Wear alone or stack them with other bracelets! Shown here in silver toned finish.